Forget champagne and oysters – we are more likely to tuck into a steak or spaghetti carbonara for Valentine’s Day. BBC Good Food looked at their top searched recipes and have learned what we really like to eat and drink for a romantic night in. 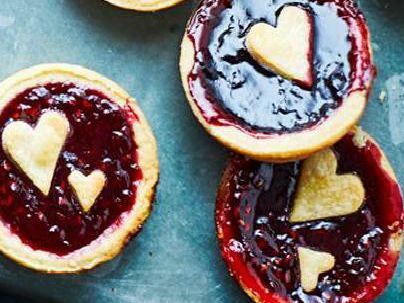 BBC Good Food has revealed the ten most popular Valentine's day dishes and drinks from its website, and the results may be surprising. Every Valentines Day, steak is the overwhelming firm favourite and peppercorn sauces takes the top spot for accompaniments, followed by bistro classic, shallot and red wine sauce. This French classic makes the humble potato a bit more fancy. A great side dish option for your Valentine's Day meal with its crispy top and soft, creamy interior. Another rich and creamy dish that Good Food users couldnt get enough of on Valentines Day is carbonara. Perfect for people who want something speedy as it only takes about half an hour to cook from start to finish. Cupcakes are not only delicious but they can make for a great alternative to chocolate if you're looking to give your loved one an edible gift.